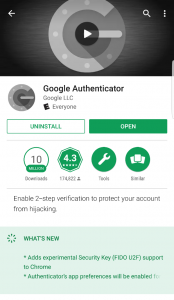 • For Android devices, the Authy, Google Authenticator, FreeOTP Authenticator, or Toopher apps are the most popular token generators. To change and modify your Two-Factor Authentication, begin by logging into your class site hosted on WordPress. 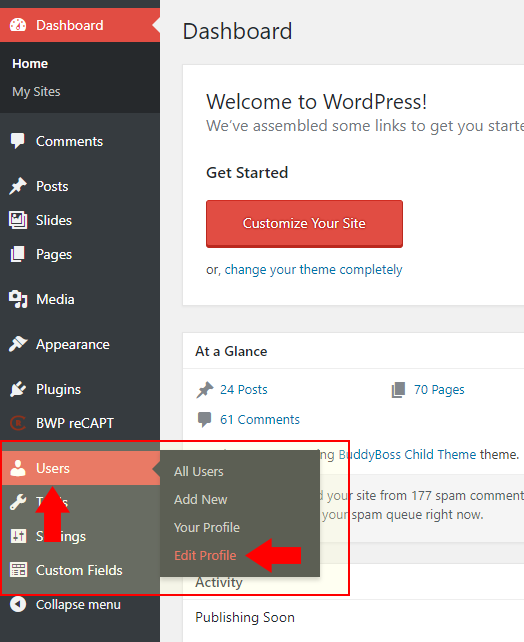 In the Top-Left corner of the screen, there is a key icon with the phrase “My Sites”, hover over this menu, a drop-down should appear and show you the name of the sites you are enrolled in that are hosted on WordPress. Hovering over the class that you need to make adjustments. 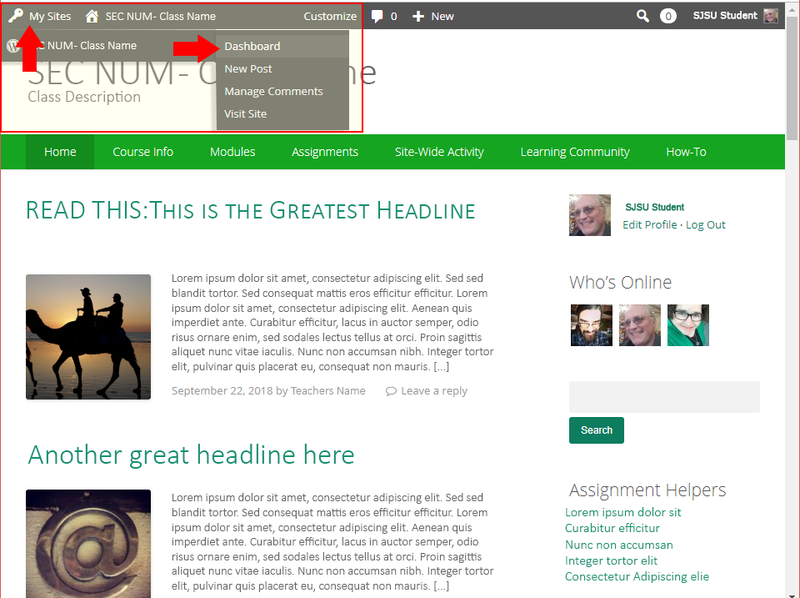 This should create a side-pullout menu with new choices: Dashboard, New Post, Manage Comments, Visit Site. (Note: Options may vary based on the level of permissions you have with your class site). Select the option “Dashboard”. 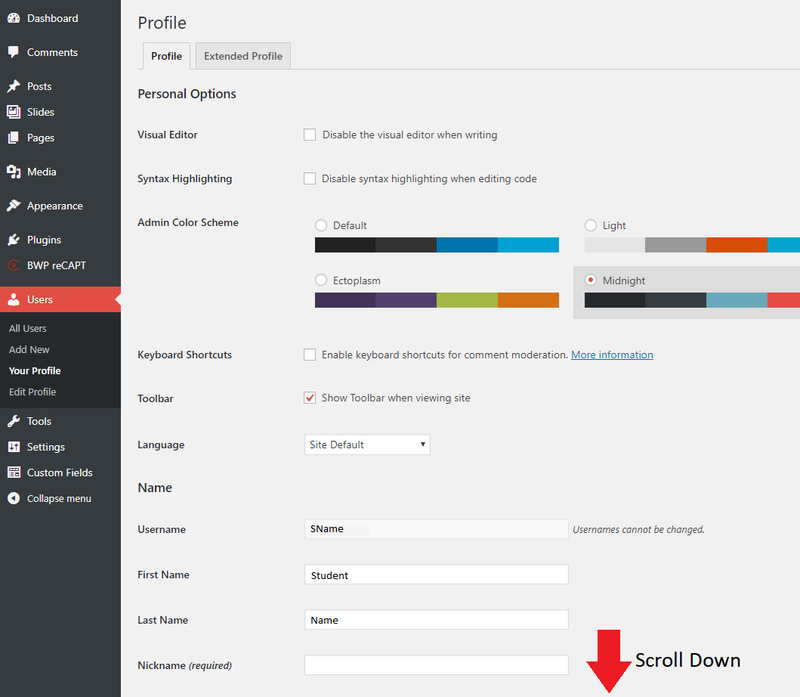 WordPress Dashboard gives access to a lot of settings that are relevant to the WordPress experience. 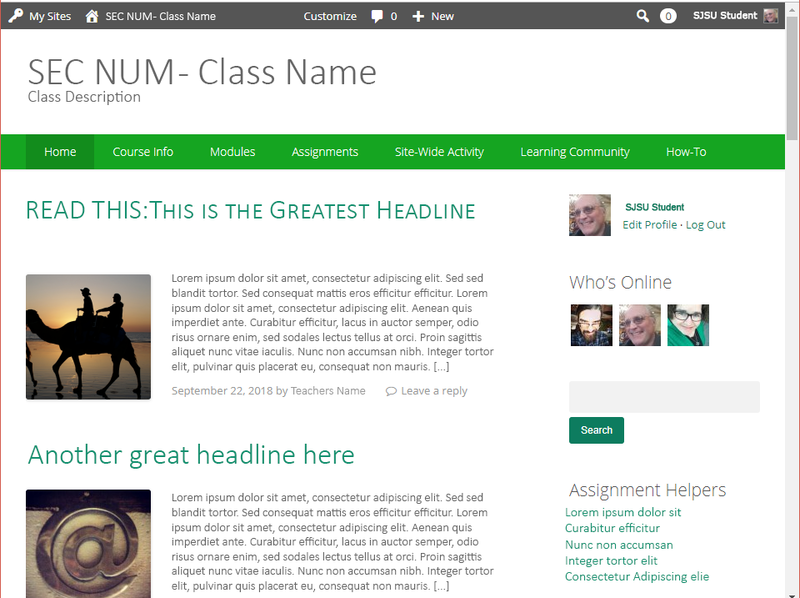 The left side of the screen represents all the options available; choose the option “Users” and from the side-pullout menu chose “Edit Profile”. 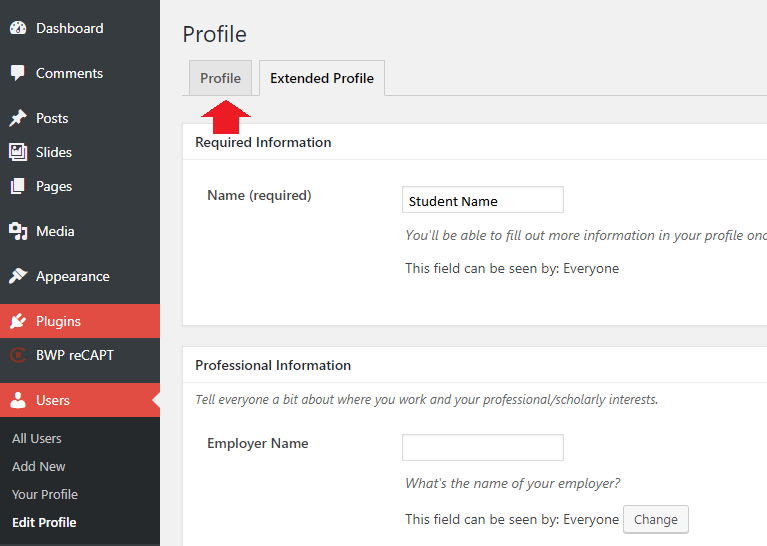 The Edit Profile settings will automatically bring you into the “Extended Profile” Tab which allows you to adjust your Person Identifiable Information. 2FA settings; however, are under the tab Profile. Scroll down the page of options available to Profile. Three-quarters of the way down, are options that are relevant to 2FA. Shown below, settings are set to email. To adjust these settings to enable Mobile App Authentication, chose the button “View QR Code & Security Key”. Scan the QR code with your App to add and give you access. Make sure to select the option Enable (Recommended) and Make Primary (Recommended) to alert WordPress how you are enabling Two-Factor Authentication. 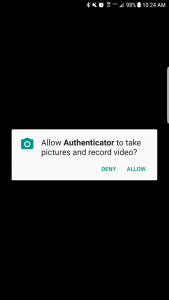 If you haven’t already, make sure to give permission to Authenticator to gain access to your camera. Scan the QR Code shown on your WordPress screen. 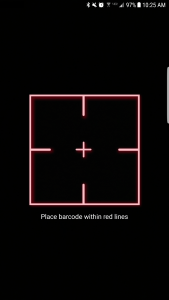 Screenshot of Barcode Scanner. Place the Barcode within Red Lines. 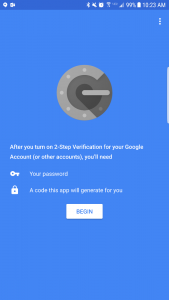 This will auto-configure your Google Authenticator for your class. Google Authenticator will produce a six digit number. This number will regenerate a new value every 60 seconds. Scan the barcode with Authenticator, Wait for the Screen to show a class and the code. Enter the Authenticator Code into the Authenticator Field. Press Verify. Wait until the screen changes to success. 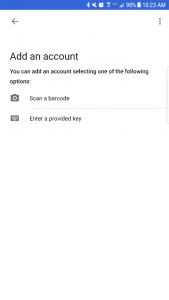 Then press Add Account within Google Authenticator. Once you get a confirmation that says “Successful” press add within your App. Set Mobile app to Enabled and as Primary, then remember to Update Profile. 10. Going forward, anytime you log into your WordPress hosted class, after using your username/password to sign in, you will need to supply an authentication code which is accessed through your mobile device authentication App. 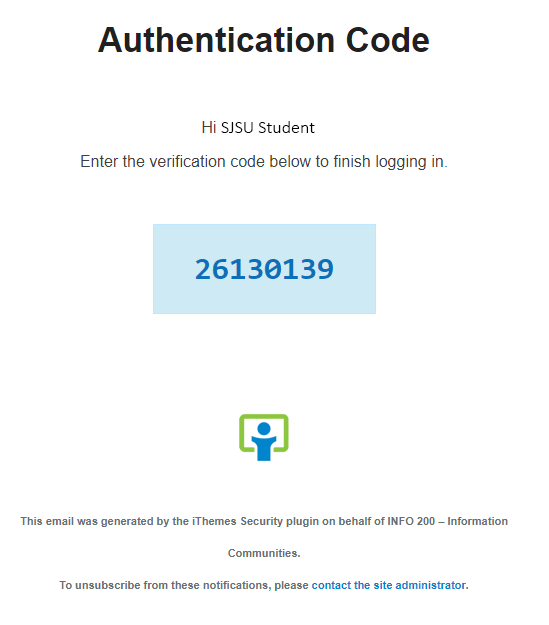 Setting Two-Factor Authentication to use Email: Screenshot of Authenticator Email Body. Vaidhyasubramaniam, S., Christy, A., & Saravanan, D. (2015). Two Factor Authentications for Secured Login in Support of Effective Information Preservation and Network Security. ARPN Journal of Engineering and Applied Sciences, 2053-2056.